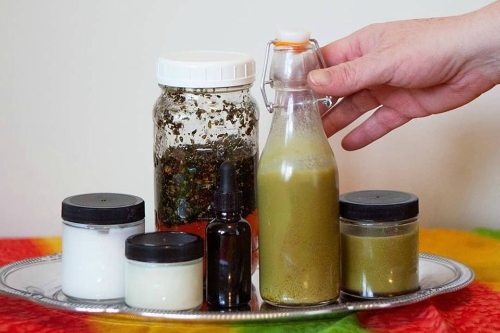 Discover the power of cannabis extracts, infusions, and topicals that you can make for yourself in your own home! Cannabis is now legal in Canada but extracts, infused oils, tinctures, and topicals are still not legal until at least October 2019. We have the right to make our own extracts, infusions, edibles and topicals. There are few "classes" available in Toronto to teach people how to properly make these products, and the Internet and YouTube has so much disinformation that it’s difficult for people to navigate and truly educate themselves. This workshop endeavours to bridge this gap, and create a safe space to educate people on how to work with their medicine. In each of these hands-on sessions, Charlene Freedom C.N.H.P. will give an overview of the appropriate contemporary and traditional uses of cannabis as an herb, including the many ways the plant can be used for healing the spirit. Charlene will be offering a cannabis infusions workshop teaching how to make cannabis-infused oils, butters, and vegetable glycerine tinctures. These infusions can be used for creating your own edibles, and the infused oils can be used for making topical preparations. She will cover the basics on how to prepare your cannabis for infusions, how to decarboxylate to activate the THC molecules, infusion times and temperatures, best infusion methods, and straining your cannabis. Charlene will discuss the differences of infusing butters, oils, and tinctures, and will cover dosage for daily use. Come out to join us for a workshop on Cannabis Topicals with Charlene Freedom. She will be discussing the various uses of cannabis topical products like cannabis creams, massage oils, balms, body butters, and holistic bath therapies as treatments for different health conditions. Charlene will share a mini demo on how to create your own cannabis-infused products from infused oils! Charlene Freedom is a Certified Natural Health Practitioner, a graduate of the Institute of Aromatherapy since 2005 where she received diplomas in Advanced Massage, Reflexology, Thai Yoga Massage, Advanced Aroma Cosmetology, and Natural Cosmetic Making. 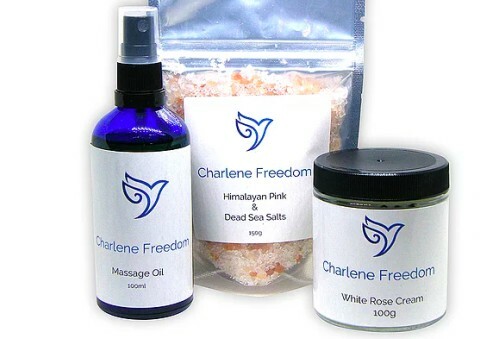 Charlene’s knowledge of holistic aromatherapy, combined with receiving a medical cannabis prescription led her to use her cannabis as treatment through the creation of creams, balms, and oils. Her goal is to offer knowledge and skills to people to educate and empower them to use cannabis holistically, safely, and affordable. Charlene has been featured in media discussing cannabis topicals, her products were featured in Chatelaine's "Pinking of Pot" in 2016, and she has been featured in Highway Magazine, and in Lift Magazine. Charlene is offering DIY workshops Anarres Apothecary, at medical clinics, and offers client consultations and product making for people with ACMPR documents from Health Canada. Pre Registration is required so that we make sure we have enough materials for you. $80+HST=$90.40 Pre-registered Pre paid 1+ week in advance. $140+HST=$158.20 ($70+HST each) Pre-registered Pre paid 1+ week in advance for both classes or for you and a friend registering at once for one class. Select $140 and write your friend's name and email in the comments with your order. REGISTRATION CUT OFF IS 24 HOURS BEFORE EACH WORKSHOP. NOTE: YOU ARE NOT REGISTERED UNTIL YOU HAVE PAID IN FULL. Repeats every 3 months until Tue Dec 31 2019 . Also includes Wed Jun 26 2019. #1 traceytf : This workshop is invaluable! This workshop is invaluable! Very informative and well done! I came away with so much knowledge and felt as if I could make better and more informed choices about this.